In the United States, the number of Medicare age individuals afflicted with lymphedema, or at risk of developing it, exceeds 6.8 million. The incidence of lymphedema as a consequence of cancer therapy ranges from 10- 50% and increases with time. Glendale Wisconsin- June 30, 2011-The National Alliance of Wound Care® (NAWC®) announced today, the introduction of its newest certification in the specialty of Lymphedema Lower Extremity Management (LLE™). 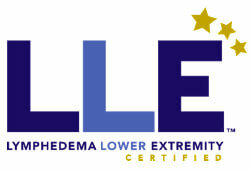 The LLE is an advanced credential that demonstrates a candidate’s proficiency and mastery of essential knowledge and skills of lower extremity lymphedema and associated wound management. “We are very excited to offer this new certification. The LLE validates a wound care professional’s expertise in lymphedema lower extremity management, while enhancing their marketability. This advanced certification will assure employers they are hiring a leader with tested competency in lower extremity lymphedema,” said Debbie Hecker, Executive Director of the National Alliance of Wound Care. The LLE is the third certification offered by the NAWC and the only wound care certification board to offer an advanced credential in Lower Extremity Lymphedema. Prerequisite education for LLE certification will be offered by Lymphedema and Wound Care Education, LLC (LWCE). Lymphedema in the lower extremity is an accumulation of lymphatic fluid in the interstitial tissue that causes excessive swelling in the leg(s), and occasionally in other parts of the body. Lymphedema can develop when lymphatic vessels are missing or impaired, or when lymph vessels are damaged or lymph nodes have been removed. For more information about the new LLE certified credential, Click Here to visit the NAWC website. The incidence of lymphedema as a consequence of cancer therapy ranges from 10-50% and increases with time. The LLE plays an important role as a direct care provider, educator and resource for optimum patient outcomes in lymphedema and edema management associated with wounds. Research indicates certified clinicians report higher levels of job satisfaction. The LLE provides direct patient lymphedema and edema care in acute, outpatient, long-term care and home care settings. The LLE plays an important role as a direct care provider, educator and resource for optimum patient outcomes in lymphedema and edema management associated with wounds. The LLE scope of practice is performed in accordance with legislation code as determined by each respective professional state regulatory board. Lower extremity lymphedema and edema management includes the identification, assessment, management, prevention, and continuing evaluation of patients with signs and symptoms of swelling related to lymphatic and or venous failure, which includes but is not limited to primary lymphatic dysplasia and all other forms of secondary lymphatic trauma. Lower extremity lymphedema, edema and wound management is a specialized area that focuses on overall skin care and promotion of an optimal wound environment through reduction of edema and lymphedema. This therapeutic approach includes intensive rehabilitative interventions followed by education in self-care measures to prevent disease progression. Lower extremity lymphedema and edema management requires the skills of the interdisciplinary team that includes the physician, nurse, WCC®, dietitian, physical therapist, occupational therapist, social worker, and other health care disciplines or providers depending upon each individual patient assessment. The physician or other advanced practice provider is the leader of the interdisciplinary care team. As such, Lymphedema Lower Extremity and edema management care plans must always be prescribed by the physician or other advanced practice provider. Increases your marketability as an expert in lower extremity lymphedema, assuring employers you are the leader with tested competency. Ensures an individual has the expertise to manage wounds with state of the art lymphedema techniques proven to dramatically shortening healing times. Instills confidence in your patients that you possess the proven expertise in lymphedema lower extremity management necessary to provide them the best care.